The name really sums up these lovely little lippies. They deposit just a whisper of colour in some really flattering shades. These have been out a while but I only just picked some up myself and if you haven’t got your hands on them yet, I’m about to convince you that you most definitely need to. I wound up buying the Color Whisper Sheer Lip Color in 25 Lust for Blush (soft mauve-pink) and 60 Petal Rebel (bright light pink). I have heard that Lust for Blush is a decent dupe for MAC Angel but even if they aren't the same, it will make a great addition to your collection anyway. Unfortunately I don’t have MAC Angel (it’s on my never ending wishlist!) so I can’t do a comparison swatch for you. 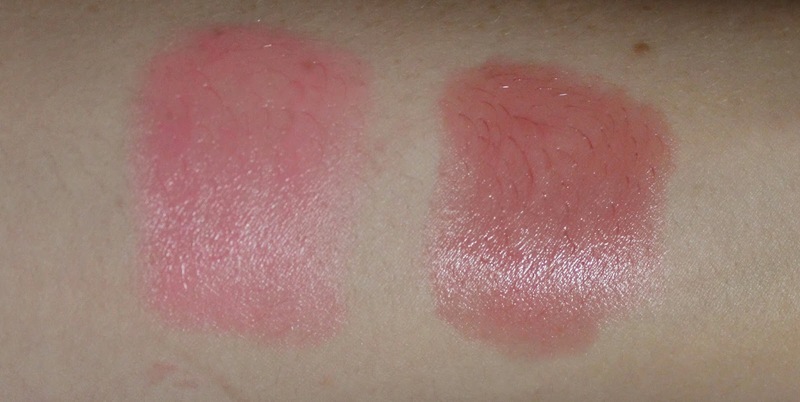 I have swatched Angel at MAC though and it is definitely more opaque than this one. 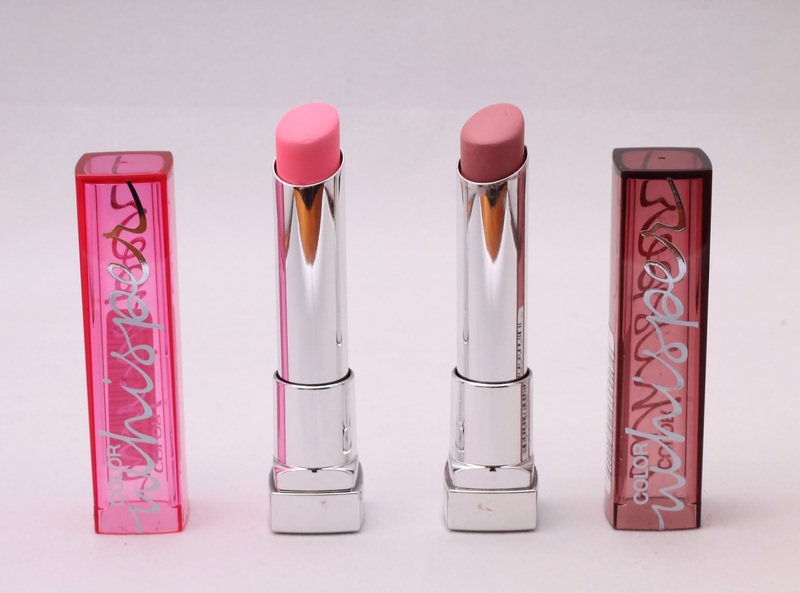 These lipstick/lipbalm hybrids are really moisturising, sheer and super easy to apply. Basically if you are after a natural look or a balanced lip to match a strong eye, these are great. They retail for $14.95 which isn't exceptionally cheap but they go on sale a lot. Most retailers of Maybelline quite often have big sales. Priceline and the Chemist Warehouse just had 50% off so just look out for the next sale. I post any major sales I find on my Instagram too to let you know. Despite how much I like these I definitely don’t pay full price for these babies. In summary, I really do like these and although they aren't long lasting they are moisturising, sheer and really flattering. You won’t regret picking these up.